Tables fitted with matching leaves allow you to change up your table size effortlessly. Create an intimate space with a smaller table by omitting table leaves. Add a leaf to create a larger table ideal for dinner parties or holiday gatherings. Seat more people and serve more food with a large table using extension leaves. With Canadel you can choose your size for a perfect fit. What shape is your room? How many people would you like to seat? Formal or casual? With over 30 sizes up to 128” in length, you can be sure to get the table that's the right size and style for your home! First, choose your table top and size. 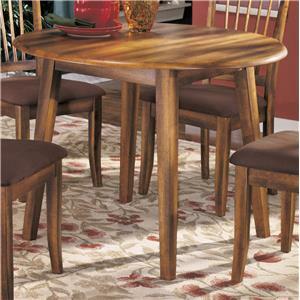 Choose from Round Tables, Rectangular Tables, Oval Tables, Drop Leaf, Boat Shape Tables and Square Tables. Next, choose from four customizable edge types. Then choose your base type, with the option of multiple leg styles, single pedestal styles or double pedestal styles (some exceptions apply). And lastly, choose from over 50 colors in either Matte, Glossy or Antique finishes. Mix and match tops and bases to create a truly customizable look. 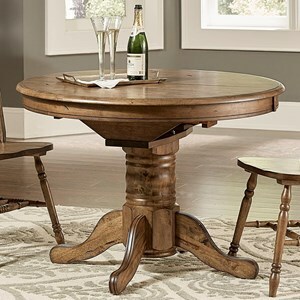 From classic, traditional, transitional, contemporary, and farmhouse styles, create the perfect dining table that is all about your style and how you live. Table shown seats 4 diners. 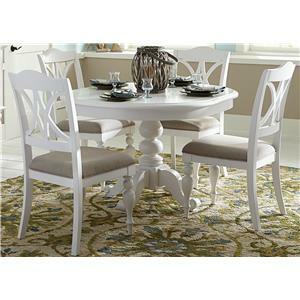 The Custom Dining Tables Customizable Oval Table with Legs by Canadel at Godby Home Furnishings in the Noblesville, Carmel, Avon, Indianapolis, Indiana area. Product availability may vary. Contact us for the most current availability on this product. Finish & Paint Options Select from over 50 wood colors, all protected with a catalyzed lacquer finish. Assemble your dining room furniture, step by step, based on life-sized samples. Nearly every aspect of this furniture line is customizable -- from table top material to table shape to leg style to finish color -- giving you almost limitless possibilities for designing the perfect casual or formal dining set to meet your needs and personal taste. Select the table model and number of features, the type and colors. You have practically infinite choice of combinations that will bring a note of distinction to your interiors as unique and refined as you are. Every single piece is made of 100% solid birch. They’re assembled, treated, painted, finished, and packaged by hand, with painstaking care and under scrutinizing quality control. And for your further satisfaction, all manufacturing processes are designed to be environmentally friendly. At Canadel there are no rules and no limitations. Bring richness and harmony to your life by complementing your home with a dining piece that is all about your style and how you live. Many coordinating chair and bar stool options also available to complete your custom dining set. The Custom Dining Tables collection is a great option if you are looking for Casual furniture in the Noblesville, Carmel, Avon, Indianapolis, Indiana area. Browse other items in the Custom Dining Tables collection from Godby Home Furnishings in the Noblesville, Carmel, Avon, Indianapolis, Indiana area.